A wither tracing of your horse's wither and back area can help you with saddle fitting. Here's how to make a wither tracing that you can take with you to buy a saddle. While a tracing won't ensure that a saddle will fit, it does help you make the first decision: is the saddle worth taking home and trying on the horse. You can take several tracings down the horse's back and match those with the saddle too. Just pay attention to how far back each tracing has been taken so you can match it to the right position on the saddle. Wither tracings are also a good way to see if the saddle you presently own really fits, and to see differences in your horse's shoulders. As your horse gains or loses muscle or fat, the tracing will change—and that may also indicate a need to adjust the saddle's fit by adjusting the stuffing or using shims with your saddle pad. You'll only need a few tools to make a wither tracing. Cardboard from an old cereal box or a sheet of heavy bristol board. Bendable tracing "Flex Curve" or a piece of wire that will hold its shape when you bend it. The bendable tool called a Staedtler-Mars Flex Curve can be purchased at an office supply store for about $15.00. You can also use solder wire, but because this often contains lead you might want to wear gloves when handling it. A straightened out wire clothes hanger can work but can be difficult to bend and a bit too springy. You'll also want your horse tied, standing on a level area. Find your horse's shoulder blade (scapula). You'll want the wire to lay about two inches behind this. Bend the wire so that it lays snugly over the horse's withers against the skin. Carefully lift the wire off so it does not bend. You will probably need two hands to lift it off without changing the curve. Once you've bent the wire to the shape of your horse's withers lay it down on your cardboard. Carefully, without bending it out of shape, trace with your pencil along the inside of the curve. You might want to mark the drawings 1, 2 and 3 so you know which position the tracing represents on your horse's back. You'll also want to label the right and left side so you don't get it turned around when you match it with a saddle. 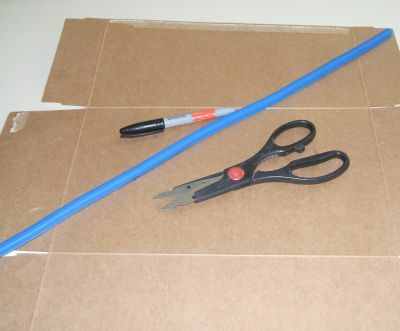 Now that you've transferred the shape of the horse's withers onto the cardboard, cut along the pencil mark. Cut flat across the bottom. With your tracing cut out you can use it to fit under saddles to test the basic fit. Label your tracing and date it. Horses' backs change over time as muscle (or fat) builds or decreases.​ Again, you may wish to take several tracings along your horse's back. Sit the tracing underneath any saddle you are wondering about fitting. This tracing can be used to find a good fit in any style of saddle, English or western. Some saddle fitters might also want a tracing taken under the seat of the saddle and under the cantle area. With the tracing, you'll see if the saddle is too narrow or wide, fits evenly, or if you have multiple tracings, you'll be able to see how it fits in the back, compared to the front. 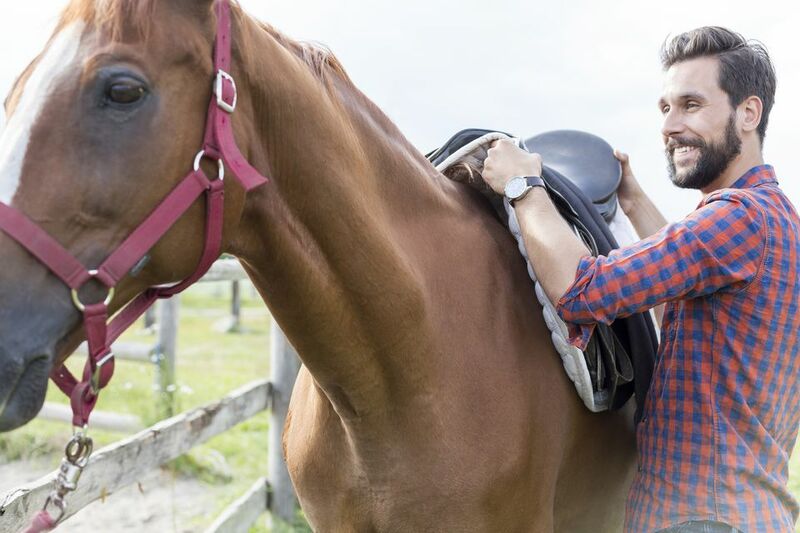 What Can You Expect to Pay for a Horse's Saddle?